Scientists have recorded the sound of three stars similar to our Sun using France's Corot space telescope. A team writing in Science journal says the sounds have enabled them to get information about processes deep within stars for the first time. If you listen closely to the sounds of each star - by clicking on the media in this page - you'll hear a regular repeating pattern. These indicate that the entire star is pulsating. You'll also note that the sound of one star is very slightly different to the other. That's because the sound they make depends on their age, size and chemical composition. The technique, called "stellar seismology", is becoming increasingly popular among astronomers because the sounds give an indication of what is going on in the stars' interior. Just as seismic waves moving through Earth provide information about our planet's insides, so sound waves travelling through a star carry information about its inner workings. 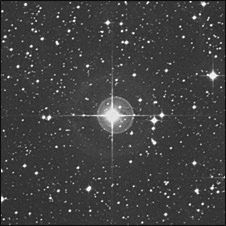 The Corot spacecraft detects the oscillations as subtle variations in the light emitted by the star as the surface wobbles. This light signal can then be converted back to sounds we understand. According to Professor Eric Michel, of the Paris Observatory, the technique is already giving researchers remarkable new insights. He commented: "This is a completely new way to look at the stars compared with what has been available for the past 50 years. It is very exciting." Professor Michel has found that the star pulsations are close to what was predicted for stars of this kind. But there is a slight variation from what was expected. The variation suggests that astronomers might need to refine their theories of stellar evolution. Professor Ian Roxburgh of Queen Mary College London is among those trying to work out what the sounds from the stars tell us about processes occurring inside stars. "It's not easy," he says. "It's like listening to the sound of a musical instrument and then trying to reconstruct the shape of the instrument". Astronomers are increasingly listening into stars and other space sounds, according to Dr Tim O'Brien, of Manchester University's Jodrell Bank Centre for Astrophysics. "It's interesting in itself," he said. "It's also scientifically useful." Dr O'Brien has collected his favourite space sounds in the Jodrell Bank podcast, known as the Jodcast. "All you are really doing when you're collecting stuff from space is that you've got to get that information into your brain so you can think about it," he explained in his podcast. "And what we're used to doing is putting visual information into our brain - well there's no real reason why we shouldn't listen to signals."